Dr. Naim obtained Ph.D. in Organic Chemistry from the University of Sussex in 1971. She pur sued post-doctoral research at Queen Elizabeth College, London, and at the University of Bonn and the University of Bochum in Germany. She also served as visiting faculty at the Australian National University, Canberra. After her return to Pakistan she served at various senior positions at Pakistan Council for Science and Technology (PCST), the National S&T Policy Advisory and Coordinating Council. In year 2000, Dr. Naim was appointed the Chairperson of the PCST, and Secretary to National Commission on Science & Technology, the apex decision-making body of the government for promotion, coordination and development of Science and Technology. Dr. Naim served as member of UNESCO International Advisory Board (IAB) on reform of the Science, Technology and Innovation System in Nigeria, and as member of the Advisory Committee of UN sponsored Science Development Network. 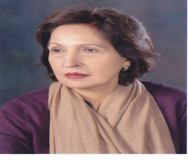 She is currently serving as member of UN Gender Advisory, as member of Board of Trustees of International Network for Promotion of Scientific Publications (INASP) at Oxford, member of the Academic Council of ISTIC in Malaysia, and member of the editorial board of international journal Science, Technology and Society, published by the Jawaharlal Nehru university, Delhi and Zama Trust, Islamabad, which supports education of poor girls in Pakistan.